Posted on July 21, 2018 | 5127 views | Topic : Awards 2018, Featured Articles, Latest News, News & Articles, Property News. 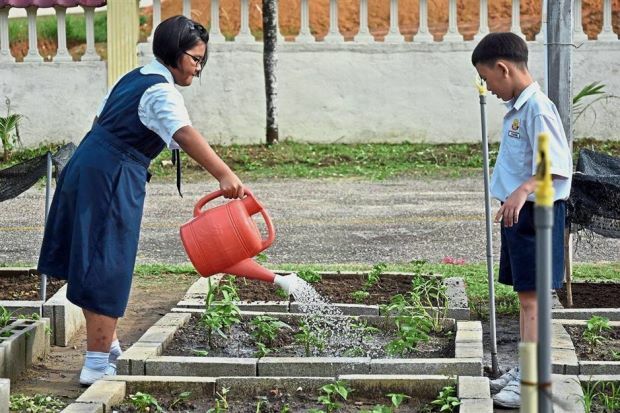 WITH the recent opening of the 160-year-old Shattuck St Mary’s school branch in Forest City International School, Johor continues to boost the state’s education sector. The school, which was developed by Country Garden Pacificview Sdn Bhd (CGPV) with a total investment of RM935mil, is a private international boarding school with an all-American co-curriculum. Country Garden Pacificview Sdn Bhd strategy head Ng Zhu Hann said the project would be divided into three phases over a five-year development plan. “The school is a testament of Forest City’s confidence in Malaysia and the state of Johor,” he added. The education hub offers a wide range of programmes as well as an all-rounded education that covers from kindergarten up to the tertiary level. “Education plays an important role in achieving our aspiration to make Johor the new economic powerhouse, not only in Malaysia but the region as well,” said the previous Johor mentri besar Mohamed Khaled Nordin. He added that the measures taken by the state government were aimed at ensuring a bright future for the next generation. And the future requires a comforting and sturdy roof to support the faces of tomorrow. The StarProperty.my Awards: Jewels of Johor is back for the second time, and it is here to acknowledge the efforts from property developers and investors alike, who have laid the foundation and building blocks of Johor’s development. Last year, Country Garden Danga Bay Sdn Bhd won The Best Waterfront Development and two other categories for its project Country Garden Danga Bay, proving its excellent reputation. EcoWorld Development Bhd, Gamuda Land Bhd, i-Park Development Sdn Bhd and UMLand Bhd were also among the gem of the awards night with their many wins. Like jewels, their contribution have shone through. Registration for this year’s Jewels of Johor award is open until July 25.